Villa Amato Ballroom is a unique banquet facility conveniently located on the south east side of false creek and five minutes from downtown in the Mario's Gelati Building. The panoramic views from our third floor patio are truly spectacular and showcase the North Shore Mountains, the downtown skyline, Science World, False Creek and Athletes Village for the 2010 Olympic Games. What better way to represent Vancouver to your guests. Since 1999 Villa Amato has hosted a diverse range of events from corporate luncheons, tradeshows, fashion shows and wedding receptions. 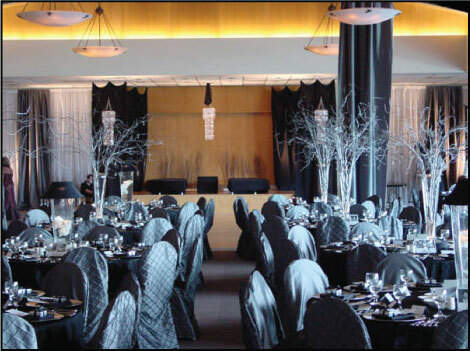 Villa Amato will do it's best to accommodate the type of event you would like to host - all you have to do is ask.